In the Martin & Sylvia: Saturdays! 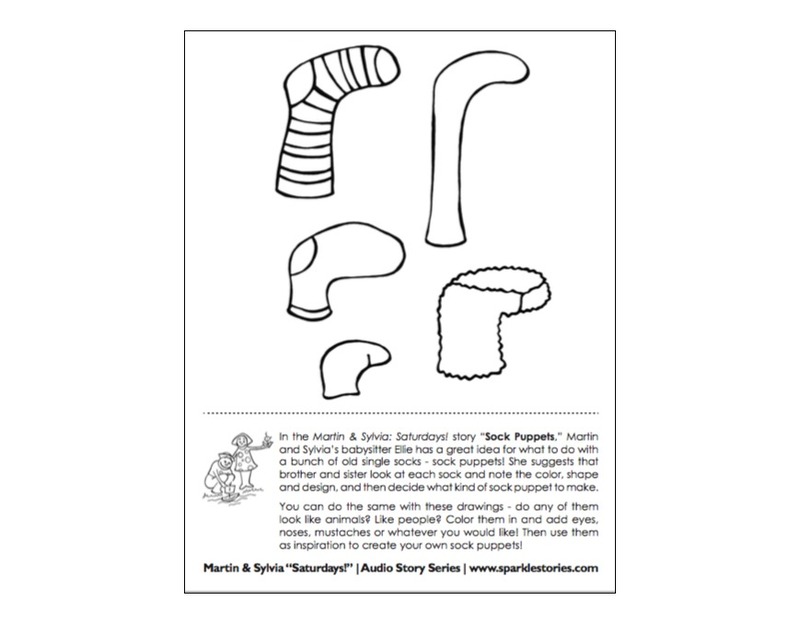 story “Sock Puppets,” Martin and Sylvia’s babysitter Ellie has a great idea for what to do with a bunch of old single socks - sock puppets! She suggests that brother and sister look at each sock and note the color, shape and design, and then decide what kind of sock puppet to make. You can do the same with these drawings - do any of them look like animals? Like people? Color them in and add eyes, noses, mustaches or whatever you would like! Then use them as inspiration to create your own sock puppets! About Martin & Sylva's: Saturdays!